When making a purchase from an industrial door company, it is easy to overlook the matter of insulation on the doors. You may be thinking about functional features of industrial doors, as well as their size, shape and other features. However, the insulation on your doors can impact your facility in several major ways. While you understandably may want to find industrial doors that come with overhead door services, a warranty and a laundry list of necessary functional features, consider these top reasons why you need doors with excellent insulative properties as well. In service door industries, there are several ways that industrial doors can be insulated. The entire surface area of the door may have an extra insulating barrier on it, or the material itself may be an excellent insulator. In addition, there may be special seals around the perimeter of the door that further prevents the passage of air. When a door is well-insulated, one of the primary benefits that your facility can enjoy is lower energy costs. Insulation and seals can minimize or eliminate the unintended transfer of air in and out of the building, and this can help your HVAC system to function more efficiently. Keep in mind that reduced function of your HVAC equipment can also decrease repair needs and improve system longevity over the years. Noise control is a primary concern in many environments, and you may want to block noise from entering the building or from exiting the building. Everything from complying with noise ordinances in your city to protecting the privacy of the facility from corporate espionage and more may be at stake. Insulation buffers noises, and it can minimize or entirely prevent them from escaping or entering your facility. When you are concerned about noise control, pay attention to insulation when making a buying decision. Whether your facility is climate-controlled by an HVAC system or not, you can better control the indoor environment through the use of an insulated door. You need to keep your workers comfortable in the facility, and the right door can help you to keep the area cool on warm days and warm on cool days. 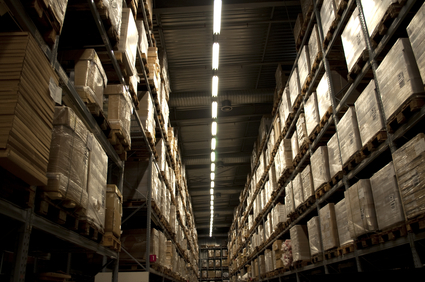 You also need to protect the facility from the elements to manage your inventory and equipment. The right doors can manage temperature fluctuations as well as humidity in your building. As you can see, insulation on your industrial doors offers a wide range of benefits. However, many people overlook this important feature when making a buying decision. If you would like your facility to benefit in these ways, consider looking for industrial doors with insulation and seals on them.